Tom O'Brien Construction | PepsiCo Offices, Carrigaline, Co. Cork. We were delighted to be appointed as the Main Contractor for PepsiCo Ireland’s current building works programme. This project in the PepsiCo Carrigaline Plant in Co. Cork involved a substantial upgrade to and refurbishment of the existing admin office facility. Features of the new office accommodation include open plan office space, reception areas, informal meeting spaces, adequate meeting rooms, corporate branding etc. 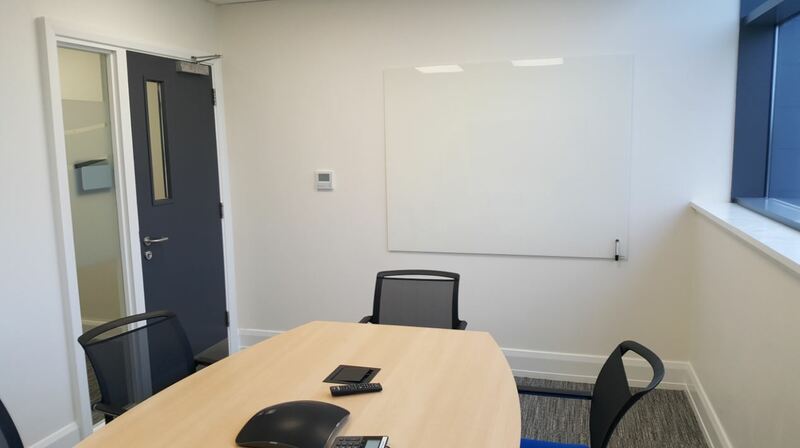 Works involved the removal of existing floor coverings, demolitions of walls and existing offices, converting existing lightwell areas to useful floor space and constructing new office and meeting spaces to an exceptionally high standard. Works were seamlessly carried out in two separate phases. Phase one involved refurbishment works to the mid-floor whilst ground and top floor were maintained as office space by PepsiCo staff. Similarly, Phase two involved refurbishment works to ground and top floors whilst the middle floor was returned to PepsiCo staff. I can confirm that PepsiCo were very happy with the final result of the project and indeed with the performance of your company in the construction. I would have no hesitation in recommending that your company is invited to tender for any future suitable projects of which I hope there are many; P. Delamere, PepsiCo.